Brief：Property prices in Britain's capital may come under renewed upward price pressure, after London was voted the world's top city for foreign property investment opportunities. Property prices in Britain's capital may come under renewed upward price pressure, after London was voted the world's top city for foreign property investment opportunities. A flood of inward investment for prime real estate in London has previously been cited as causing a 'house price bubble' in the South East. London beat last year's winner, New York, in the annual study. The survey was released on Monday by the Association of Foreign Investors in Real Estate (Afire). It found that San Francisco was the third-favourite city for foreign investors, with Houston and Los Angeles positioned at fourth and fifth, respectively. 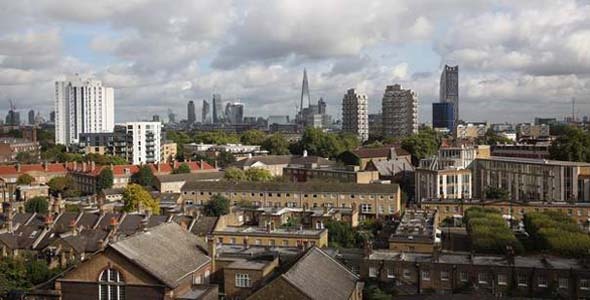 London's top position carries potential problems for Britain's homeowners. Critics said a squeeze in central London had pushed asking prices upward at an unsustainable rate. Amid concern of a property bubble, the Chancellor announced plans in December's Autumn Statement for a capital gains tax (CGT) on foreign investors as part of an effort to prevent prices soaring beyond control. The UK's comparatively generous CGT regime was thought to be one of the factors behind the sharp increase in foreign ownership of properties in London in recent years. While those living in Britain paid CGT of between 18% to 28% if they made a profit when reselling all but their main home, non-resident property owners were exempt for all their properties. House prices in London rose by nearly 9% in August alone, compared with around 2% elsewhere in the UK, according to the Office for National Statistics. Meanwhile, Afire said the US remains the most "stable and secure" country for investment by a wide margin of more than 50 percentage points, over second-place country Germany. This is the widest margin since 2006 and it said the US remains the country providing the best opportunity for capital appreciation. It also leads the ranking for planned property acquisitions in 2014, with nearly 50% of respondents projecting a modest increase in their US portfolio size and 20% projecting a "major" increase. "Foreign investors' continued and growing interest in the US real estate markets reflects fully functioning capital markets for both debt and equity that provide access to a broad range of investment opportunities," Afire chairman Steven Hason said.